Major League Soccer is a niche league, perhaps the largest niche league in North America (depending on your view of hockey and the NHL). It lacks a lot of the tradition, and strength that can be found in older leagues such as the National Football League, or Major League Baseball. Even the NHL has strong traditions relative to Major League soccer. Niche leagues fill certain markets, and reach out to small support bases. They are not immune to problems and possess a wide variety of weaknesses. One of those weaknesses is the susceptibility to a work stoppage. Major League Soccer is on the verge of a virtual collapse, and the league seems to think that a collapse is preferable to granting the most basic right a worker has. The right of mobility and freedom to choose where you work. In any other line of employment outside of sports, the employer would be clearly in the wrong (and likely taken to court) for doing what it can to restrict labour rights. But in sports, we tolerate labour violations because there is a perception that we can encourage league competitiveness by restricting labour rights. Others rationalize the violation of labour rights as a way of keeping players from being paid too much. Regardless, with any other product this would be considered illegal. But US (and Canadian) law is funny on sports leagues and the product they peddle. So, the Players are going to have to seek a compromise, as legal action on labour issues such as these has failed across numerous sports. Major League Soccer is moving towards a lockout or strike, both of which would be absolutely terrible for the North American game and a blow to the credibility of the USSF abroad. There seems to be broad consensus among followers of the league that a strike or lockout would be the death of the league. The odd thing about this whole situation is that MLS and the Players Union are not far apart on the issues. There remains a major stumbling block which has yet to be overcome. It is free agency (in combination with player mobility). Under the current system, players have no right to say no to a trade, and cannot catch on with another MLS team when their contract expires. And oddly, neither the league or the players seem to be able to come together on a compromise. Here is what I propose as a solution. It’s a halfway point, known as Restricted Free Agency and is employed in the NHL. 1. Players over the age of 28 or who have played 5 years, consecutively, in MLS are entitled to unrestricted free agency. 2. Players over the age of 28 or who have played 5 years, consecutively, in MLS are entitled to a No Trade Clause. 3. Players under the age of 28 and who have not played 5 years, consecutively, in MLS are entitled to Restricted Free Agency. Clubs must offer a contract equal or greater in nominal value to their previous contract or the player becomes an unrestricted free agent. 4. Players under the age of 28 and who have not played 5 years, consecutively, in MLS are permitted to negotiate No Trade Clauses into their contracts. This is obviously not with all the bells and whistles that a “legalese” agreement would require, but it is something which the two groups can work off of. Maybe the age should be higher, maybe lower. Maybe you should need less or more consecutive years. But it’s something of a compromise and may spark some ideas. What do you think? What are your proposals on bridging this volatile issue? Would RFA work in MLS? They should lock out the players and start a lingerie soccer league! Your analogy fails because MLS is a single-entity. An MLS player trying to say no to a trade is more like a Microsoft employee saying no to a transfer to a different division of their same company. MLS players still have the same rights as all other American employees – they can always go play in USL-1 or Coca-Cola League 1 if they don’t like it. MLS is a business. Introducing free agency and other demands will increase the amount of risk and cost that the league takes on. It’s a recipe for an NASL-style implosion all over again. What Quakes said above. MLS single entity structure makes all this talk about “legality” complete nonsense. It would be nice if MLS were old and established enough to allow for the higher costs of free agency, but that’s not gonna happen. It is precisely because MLS is a niche league that it cannot afford to compromise its current structure. If the union really thinks they are going to get MLS to change its basic structure, they are delusional. If they push this towards a strike, they are insane. I appreciate sympathy for the players situation, but this article (and countless others like it) simply has no grasp of reality. Legally, single entity completely invalidates the union’s argument. There’s no legal issue here to dispute, guys. The courts have already spoken on this. I agree, the courts have spoken on this. I even pointed out that the law is not on the side of the players. But with respect to free agency, I would like you to give me an example of a non-sports business where once someone’s contract has expired, one has to pay compensation to another business for rights to hire that person. I would also like you to provide a similar situation where a division within a corporation has to pay compensation to another division within that same corporation for the rights to hire an out of contract employee. Again, non-sports related, please. Then ask yourself if sports leagues should be above the law. Part of the reason we tolerate this crap is we feel that athletes are overpaid. If this kind of nonsense went on at Wal-mart or a Microsoft, there’d be serious lawsuits and damages awarded. I don’t know that anyone ‘has to’ pay compensation. They only have to pay compensation if compensation is demanded. There is no example of this outside of sports because it all steams from a corporation that essentially has offices that compete directly with each other. In any business you would never compete directly with another office unless you were doing so for entertainment purposes. Like it or not its legal. And the players need to quit their crying and get on board. I could care less about their families. I want to watch soccer. I want to be entertained. So get on the field and entertain me! This is what I call the old dirty trick.On a free agency ,promotion and relegation,no salary cap system a league has no risk! If a club overspends or mismanage its finances; such club would most probably end up being relegated; but the league wont suffer any kind of “implosion”. There has not being ANY league on the planet that uses promotion and relegation that has “implode” because of free agency. STOP MANIPULATING!! i am sorry, are you saying that relegation has no risk? if so . . .
what are you smoking? relegation is for leagues that are established and there are tons of clubs that exist and have the infrastructure to play at the top level. IMO many of the clubs in the MLS don’t have the necessary infrastructure to be at the top level, but they stay there just the same. bottom line, relegation would kill the soccer in the USA. who would invest in a SSS if they can’t be sure that the club would stay at the top level. More of the same manipulation. 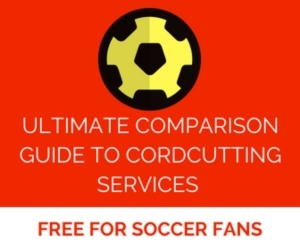 Pro/rel is BY FAR the most popular system on the soccer planet.It is not only on “stablished leagues”. It is not only in Europe. Pro / Rel is succesfully in use in all the big leagues in the world. In rich and in poor countries. In all continents. Never have a league being “killed” by pro/rel or big spending. Clubs (like Portsmouth)are usually relegated if they are mismanaged, but a whole league has NEVER desapear as a result. If a club is not sure it would stay at the top level,maybe it should not build a very big stadium but a smaller one.Like any other bussiness in a competitivce society, the one that makes the better decisions get to the top and viceversa. What makes no sense is the US having a league smaller than Walles.Only pro/rel could give ALL cities a fair chance of having a club to represent them . outright or restricted free agency will never happen while the MLS is a single entity structure. that being said, they should go after things that are more realistic . . . . like when a player is released by a club, his rights are not retained by the club that released him. to me, that is a common sense thing, and i would think the MLS would not take issue with such a request. due to the allocation nature of the MLS, being out of contract (due to expiration) should not give the player the right to look elsewhere (within the MLS). IMO, i think that a released player should have the right to look anywhere in the MLS because the team has chosen to give up on that player. The single-entity structure of the MLS is not conducive to the sort of RFA structure that the NHL has. In the NHL, clubs try to out-bid each other for RFAs… in the MLS, since every club effectively belongs to the same body, this is less likely. And, on paper at least, it wouldn’t exist at all. Thus, the athletes have no rights. No wonder they’re peeved. The MLS would be killed by relegation. Because really the level below isn’t that far below competitively, and because the clubs in the lower level often don’t have the marketing money/stadiums/market size/fan interest/TV possibilities to help the MLS gain viewership. In order to stay a strong league, they have to first build up traditions and followers in the markets they are in. Also, there is the possibility that if the MLS were to take on, say, a second division, financially successful clubs would be on the hook to support less financially successful clubs. This was the case in England until the foundation of the EPL. Given how few clubs are turning profits in the states, I doubt owners would be jumping on board with this. First, players cannot simply go play in the Coca Cola Championship if they want to. It’s a bit more complicated than that. Second, are there still actually people who don’t understand that promotion/relegation (as much as I love it from a competitive and entertainment standpoint) would kill MLS within 2-3 years? I thought everyone realized this by now. I am one of those people! I think that statement is pure manipulation as promotion and relegation has not killed any league in the world. NEVER. Mexico can have pro/rel and free agency ,even with an economy not as big as the US, but we are so so diferent than here it wont work!! BS BS BS BS BS!!! Pure manipulation! I tell you this: As long as our game is controled by people with links to NFL interest , Real Football in America is not going anywhere meaninfull, Anytime soon! how much time do you invest in watching the FMF? do you realize how much of a sham their promotion/relegation is? they have some kind of a rolling average that calculates who gets put down, etc. it is a joke. secondly, do you realize that the FMF first division financially supports their lower divisions? one last point, comparing economies is an utter joke . . . payroll for MLS is capped at 2.3M USD. the top clubs in mexico (american, cruz azul, etc) have annual salaries in excess of 60M USD. That is a good point . I would think the comparative size of the economies of the US vs. Mexico isn’t as much of a factor as the comparative markets for soccer in Mexico and the US. Mexico’s advantage in the latter appears to be far more important than its shortcomings in the former. Salary Caps, are in many Big business based on position, any player in MLS through they skill can go from 30k to 400k in a few years if the have the talent to do so… My current position has a Capped Salary, if I want more money then I have to move into a different position, which also has a top salary. To those who think MLS should have a Pro/Reg system..
the Euro Leagues were born out of a strong club system of hundreds and hundreds of clubs who moved up, the league system there was developed over 120 years to where it is today. In North America Rugby Football took off more then Association Football (soccer) and through the geography and population density the system we have of franchises is what took hold without pro/reg. In North America this makes sense and the US is almost the size of mainland Europe which adds great cost to any sports team being promoted. The way MLS is run is true to the North American condition.. Canada and the US are not the same size as Germany, we don’t 30 teams within 500km of each other, they are with in 2-3000km. There isn’t the large cheap transport options like trains that take you right to your destination for the cost of a bus ticket from New York to Boston. The MLS’s current system of Franchise and Major and Minor leagues which works for every other league in the Cross Border region that we have the sports in, there is no need to change that because Countries the size of California have pro/reg leagues. If you were going to do a pro/reg system then it would be state leagues with a US Champions League.. Because that is how it’s done in Europe. That point makes sense Kaz.Though it doesnt have to be exactly like that,but sort of. A US soccer league should be desing taking in consideration quite a few factors.Zise and the cost of traveling is one of them, but there are others. To capture the essence of our game should be an essential one. To take advantage of our economical position worldwide is another. I have though about the ideal US soccer league for ours. Reducing the cost of traveling distances could be acomplished by having geographical designed conferences. By thinking about that I abandoned the single table concept, I realized it is a non-fit for the US. We could debate on wich would be the ideal US soccer league forever,there are probably as many as soccer fans on our country. But what I am really convinced of is that MLS is a very unsoccerlike product,managed by people without a basic understanding and respect of our game, and links to interests that really make me uncomfortable as a soccer fan. you have two sides, on a pitch playing football.. The refering in a little lax and the play style isn’t exactly like that of England, but each country is alittle different..
It’s not our game, it’s the beautiful game because each nation makes it’s own… And North America has always done that… there is a reason why Rugby Football Evolve so differently here. The Refing and the league needs to mature, and it will. The League though 16 years old on Paper really is just 5 or 6 years out of its infancy… give it time and help it become a North American product, like Football in England is English and football in Brazil is Brazilian. Try to remember each nations product has improved the international game not hindered it. North America is still developing that product, they only realized a few years ago that they don’t need change it completely, only tweak it.. but you can’t go from one extreme to a world class regional product instantly, it has to evolve not revolt. Soccer is about much more than what goes on on the field. The fact that it is a very affordable game(with a ball and two rocks you have a game) ,paved the way for most of the world nations,rich or poor, to be included on the “family”. This characteristic ,together with a merithocratic system of divisions,linked by promotion and relegation at the national level, and qualification groups in international competitions, gave our game a sense of inclusion,universality,justice. Everybody is granted a chance,and rewarded depending on their results. Is is within this philosophy that England is granted the same chance of getting to the WC than Monserrat or Fiji. This philosophy has made our game what it is worldwide today and i think it is one of soccer core values. A franchise system is completly out of tune with the profound greatness of soccer simplicity. So, Roger is an essentialist. It seems MLS doesn’t fit your definition of soccer. I am not sure what you are arguing for, that MLS needs to fit your definition of soccer or it will never have success in the US, or that MLS needs to fit this definition because it would be wrong to have a pro league in such a form, and MLS needs to do this even if it means it will remain a fringe league on the cusp of financial failure? Or perhaps you believe if they build the beautiful game to be like it is in the rest of the world, Americans will come, despite the fact that many forms of the game are completely different from how other US sports leagues have been run for decades. US sports leagues are old (the baseball NL goes back to what, the 1870’s?) and run differently from other countries’ football leagues. US leagues have pretty much never featured pro/rel AFAIK. They’ve always fought inclusivity (in the sense that anyone has a chance to form a club that can make it into the league). Playoffs have been used to identify champions pretty much from the very beginning. US leagues don’t compete for multiple championships in a given season, they compete for one. It’s a different cultural context, and it makes sense that the MLS would seek to adapt soccer to fit the culture. Even religions adapt to fit local cultures. International soccer is indeed a beautiful game, and the reasons you mention are a big factor. However, I wouldn’t want to exaggerate those aspects of the game–they seem to exist more in theory than reality. There’s a limit to how much of a chance poor nations have at the WC, and European club leagues seem to have less parity than US sports (I don’t know about leagues in other parts of the world). what I am arguing for is that soccer is much more than what goes on the pitch. I probably got some of my perception of the game by reading Profesor Cesar Luis Menoti concepts. He says that futbol is your mother baking pasterys when you get home, futbol is the newspapers seller shouting on the middle of the street,futbol is a worker walking back home after a long day of labor………etc. It took me a while to understand him, at first I thought that was crazy talking. The magic of this game is a combination of a few factors. Its simplicity; Its universality; the capacity to mirror life’s struggles;the passion it generates. The system that we have being imposed, with any consideration of the fans, is a clear ilustration that the ones one charge of soccer in the US dont have a basic understanding of all the subttles dimentions of this game. To give every city or entity a chance of being represented,compete and gain on the field the status they deserve is the only way we are going to be in tune with the noble idea of soccer universality. Promotion and relegation is the ONLY system that can acomplish that. Roger – I don’t believe prom/releg actually accomplishes any of what you believe it does. It is a myth that the any community could be represented in the top level of club football. Sure, a few underserving clubs do find their way into the top divisions and win just enough to avoid the drop but what is that really worth? Relegation is bad business and sorry to say most of the world is not as good at business as the USA. It is bad for the Premier league that Wigan and Burnley are playing on a worldwide stage while Newcastle, Leeds, Leceister City, and Nottingham Forest toil away in obscurity. 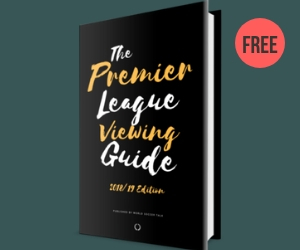 The league would generate bigger TV audiences, larger crowds, and more compelling title races if the biggest clubs were in the biggest competition. On top of losing big audiences and clubs, I believe relegation promotes the wrong type of behavior. It contributes to reckless spending, and promotes revenue insecurity at the clubs. I agree that this is unlikely to kill a league but it’s devastating to some clubs. Portsmouth should not be in the Prem. It’s to small, and can really not aspire to be anything more than a bottom feeding tag along. What good is that? I usually am in the camp that US Soccer needs to get more inline with World football. Draws are fine, MLS should not be playing during International breaks, our schedule should try to be as reasonably close to the world schedule. However, on this point the world needs to catch-up. Salary caps and stable leagues make a better product. I don’t want the MLS to be the EPL and I don’t want US Soccer to look like the English system. I want the MLS to become an American soccer league conducting each game under FIFA rules and respecting international soccer. promotion / relegation does not encourage growth at the top level. why? because who in their right mind would sink millions of dollars into an invest that has a low probability of staying in the top tier. i realize that many people want to see the USA have a soccer structure like europe, but that just isn’t possible because we don’t have the same level of interest here. I just came across a thought from Confucius on youTube that kind of relates to the US soccer situation. The right aprouch is promotion and relegation. Our game should not be for a selected number of cities to enjoy, but for all. Like examples aren’t hard to find in other businesses. For example, as a software engineer on contracts I’ve been in this situation all the time. Usually the head shop I’m going through will waive the fee if I’ve contract at a place for a long period of time. But let’s say I were to go work at XYZ corp on a contract for 2 months on a project and 3 months later they had a req to fill and gave me a call, they’d owe that head shop a fee. And do we have the MLS to blame for this? Isn’t this really the doing of FIFA? They’re the ones issuing edicts on how many clubs a player can be with in a year, a club holding the players registration, etc, etc, etc. More so this overlooks favors these players recieve. Sure, this “restricts” their movement as far as the MLS goes. But they can choose to play most anywhere. And most any country these days will let them do it as long as they’re good enough. You don’t see that with other jobs. You can be a damn good mechanical engineer but short of going through an arduous immigration process, you’re not going to be able to pop into Holland or Australia and work for a a year or three. These players are being very foolish when both the economy and the league cannot afford to do want they want. You have only to see what is happening in the English League where the players have taken out too much in over inflated wages to realise the inherent dangers of what they are suggesting. The number of English clubs running into financial difficulty is increasing at an alarming pace and Portsmouth is only the tip of the iceberg. So MLS are right to resist greedy players and their even greedier agents. If the Union have even a modicum of common-sense they will accept what’s on the table. While I do think that free agency should be a no go this time around, I don’t think that free agency is what is killing the English system. Irresponsible financial behavior and greed is killing the English system. Didn’t we already establish that the players aren’t being greedy? Increasing salaries/the cap is probably the only thing the league would agree to. As for everything else, that’s where it gets chippy. Like this guy, I’m not really on the side of the players or the league. They both need to grow up a bit. I’m on the side of the fans. If there’s a work stoppage, it doesn’t matter who gives in first or who “wins”, the fans and the sport in the country lose. For the record, if you think I’m off the mark, I just had a professional journalist from the Canadian Broadcasting Corporation more or less rip my ideas off. I’m flattered actually, although a link would have been nice. Why should she link to your post? These are not “your” ideas. She’s reporting on what the players are asking for and commenting on she perceives them. You obviously didn’t read the article. “She” happens to be Jason de Vos, a former Ipswich Town defender…not Christine Sinclair, arguably the best Canadian women’s football player of all time. Read the part about restricted free agency, compare the two blogs. No need to get snarky, Lars. That doesn’t prove I didn’t read the article, only that I mistyped. Now symantics aside, care to explain as to how you were being ripped off by that article? These selfish players don’t know how lucky they are to be in MLS. If they were in the EPL, SPL, or Serie A their teams could go out of business at a minutes notice. MLS needs to stand firm against the union. Teams should be able to dump the rights of any player with an expiring contract for allocation money equal to have their salary or 100k (whichever is lower). That way players can go else were and greedy teams will get something out of them. “The employer would be clearly in the wrong (and likely taken to court) for doing what it can to restrict labour rights. But in sports, we tolerate labour violations because there is a perception that we can encourage league competitiveness by restricting labour rights. Others rationalize the violation of labour rights as a way of keeping players from being paid too much. With any other product this would be legal. This has been taken to court. Go read the Fraser case. The players work for MLS, a company competing (from a business perspective) with every other team in the world, meaning MLS does not have anywhere close to even a market power share of the industry (30%+). Antitrust issues don’t come into play if there isn’t a significant market share (or collusion). It sets soccer apart from other North American sports, which do have market or monopoly (60%+) power and face antitrust issues (except for baseball’s exemption). Arbitrators/courts struck down reserve clauses (which in turn created free agency) in those sports years ago (and then free agency was instituted into CBAs). Besides, anything agreed to in a CBA is exempt from antitrust law anyway. Promotion / Relegation will not work in the US unless they have 60 teams and 3 or 4 teams in big cities like New York or LA. Promotion / Relegation works in Europe because the leagues are established, the countries are small and each major metropolitian area has 2 to 5 teams.